The next morning would be a busy one. 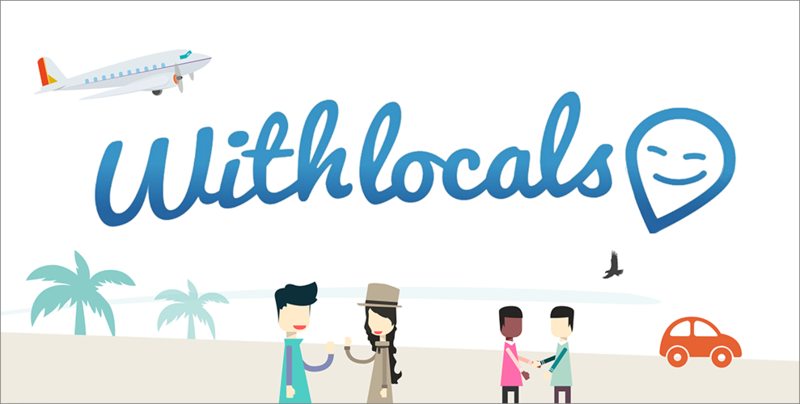 I booked a tour of the city with Private Greece Tours. The PGT Tour Group was founded by Nikos Loukas who was born and raised in Athens. Since we were only here for a couple nights, I thought this would be the most convenient way to see all the important sites. At about 8am, our driver, Elias, called us to let us know he was outside. We met him down the street where he opened the door to his comfortable and air-conditioned Mercedes sedan for us. He was very nice and professional. 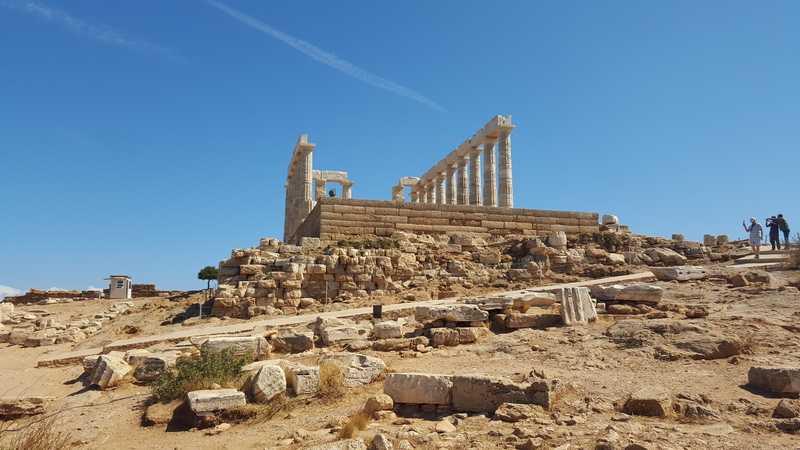 We opted to take the Full Day in Athens and Cape Sounio Tour. This tour was a combination of the city’s most popular sites, lunch, and a half day excursion to the Temple of Poseidon. We started the tour by visiting the “sacred rock”, the Acropolis. We parked at the drop-off area and Elias gave us a brief history lesson before seeing every site, complete with pictures and all. Entry fees are not included, so be sure to stop by the window and purchase your tickets. We were able to beat the crowds and enter as soon as it opened. While making our way up to the Acropolis, The Odeum of Herodus Atticus was the first site we encountered. We continued up the hill and saw the Temple of Athena Nike which was dedicated to Athena-Nike, the Goddess of Victory. It’s the first structure you see while making your way to the entrance of the Acropolis. We walked through the entrance and from a distance I spotted the Erechtheion, the ancient Greek temple dedicated to both Athena and Poseidon. I had to get a closer look. On one side, you can see the famous Porch of the Maidens, with six draped female figures (caryatids) as supporting columns. I made my way to the most famous attraction on the Acropolis, the Parthenon. Dedicated to the goddess Athena, this former temple began construction back in 447 BC when the Athenian Empire was at the peak of its power. 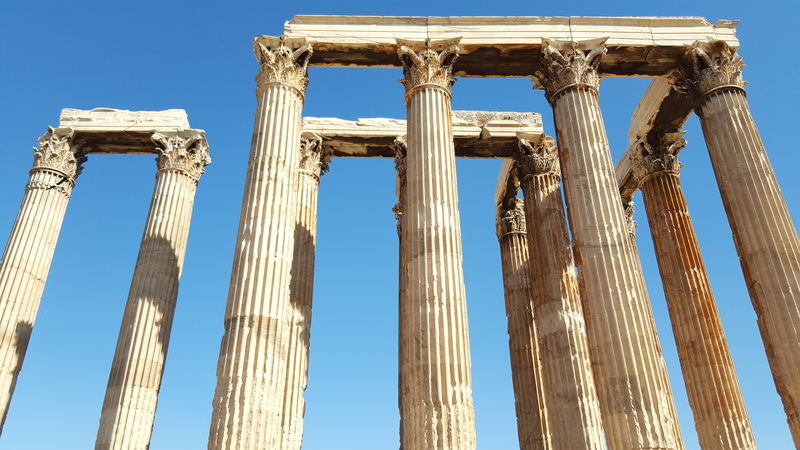 The Parthenon is regarded as an enduring symbol of Ancient Greece, Athenian democracy and western civilization, and one of the world’s greatest cultural monuments. Behind the Parthenon, you’ll see the Greek flag in a small area where you can get some great views of the city with Mount Lycabettus in the distance. Before making our way towards the exit, we saw the ruins of the first theater in the whole world, the Theatre of Dionysus. Elias waited patiently while we were free to enjoy these sites on our own. Before heading down, we made our way to Areopagus (Mars Hill) for a nice view of the Acropolis from a short distance. It was amazing to see such marvelous historical sites. We were only getting started. On to the next stop! We proceeded to the Temple of Olympian Zeus where we had some time to walk around and take pictures. We spotted the Arch of Hadrian, also known as Hadrian’s Gate. The Temple of Olympian Zeus, also known as the Olympieion, is a colossal ruined temple smack dab in the center Athens. It was dedicated to Zeus, king of the Olympian gods. Its unusually tall columns and massive layout made the temple one of the largest ever built in the ancient world. There were originally 104 columns surrounding the temple. The columns are capped by highly decorative Corinthian capitals carved from two massive blocks of marble. The temple has suffered a magnitude of damage over the centuries and a lot of its material was reused in other buildings. Today, only 15 of the columns are still standing, 2 in the south-west corner and 13 at the south-east corner. Our next stop was the Penathenaic (Kallimarmaro Stadium) which hosted the first Olympic Games in 1896. We witnessed the changing of the guards at the Presidential Palace, formerly the Royal Palace. The tour continued with a drive up to the highest point in Athens, Lycabettus Hill. 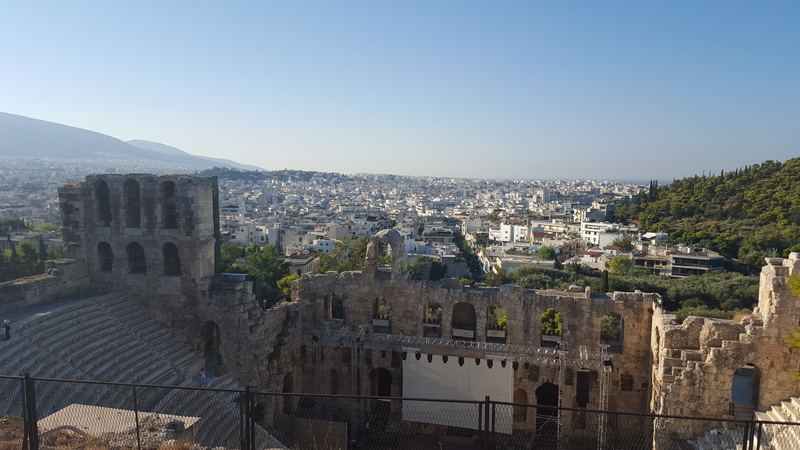 We enjoyed some breathtaking 360 degree panoramic views of Athens. With most of the sites in Athens checked off our list, it was time for the second part of the tour. 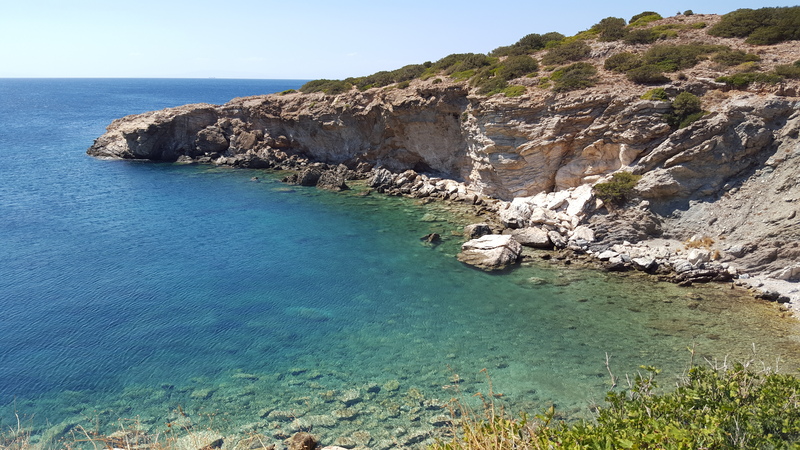 We left Athens and took a lovely coastal drive to Cape Sounion to see the Temple of Poseidon. First, we stopped for lunch at Zaxos Grill. After lunch, we passed through some of Athen’s most expensive and beautiful suburbs and resorts. 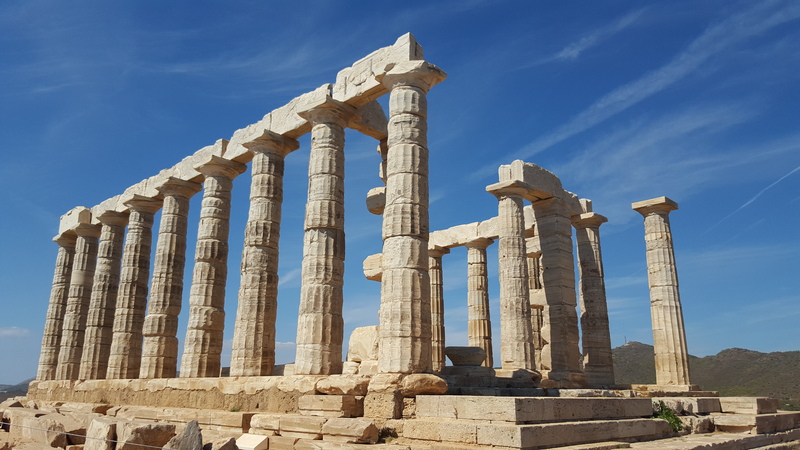 Cape Sounion is known as the site of ruins of the ancient Greek temple of Poseidon, god of the sea, which is vert fitting with its location overlooking the Aegean Sea. The Temple of Poseidon that now stands was built in 444 BC atop older temple ruins. I thought the drive was worth it with the great views and beautiful scenery surrounding the former temple. You can also witness a spectacular sunset from here. Systematic excavations began on the site in 1897 and continue today. This was a very impressive site in a gorgeous setting. After a bit of wandering, Elias met us at the small cafe near the entrance and we walked back to the car. It was time to head back to Athens. We relaxed on the ride back and he dropped us off back at the apartment. Wow, what an awesome tour! It was such a great way to see as much as possible in the most convenient way. Elias was a wonderful driver and guide. 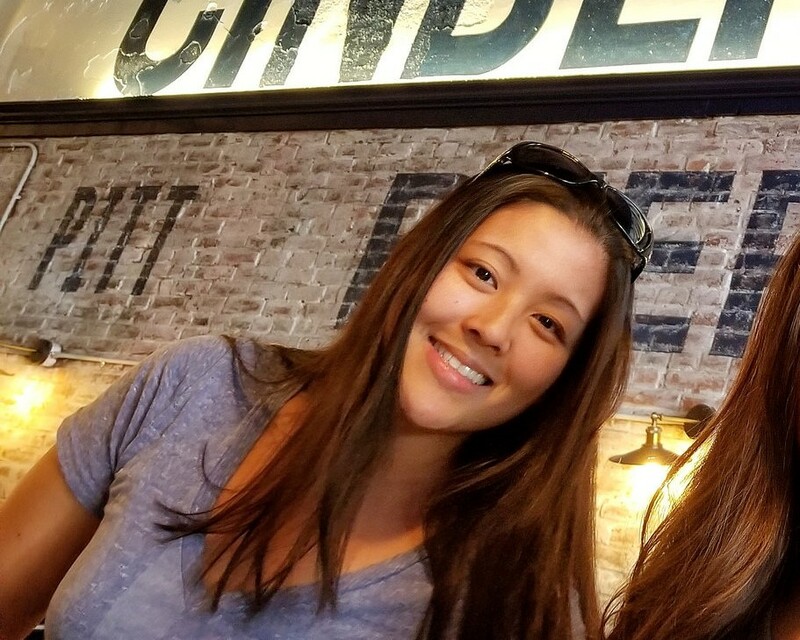 If you only have a couple days in Athens, I highly recommend Private Greece Tours!